The Student Loan crisis | Can bankruptcy help? What are the exceptions to wiping out student loan debt in bankruptcy? 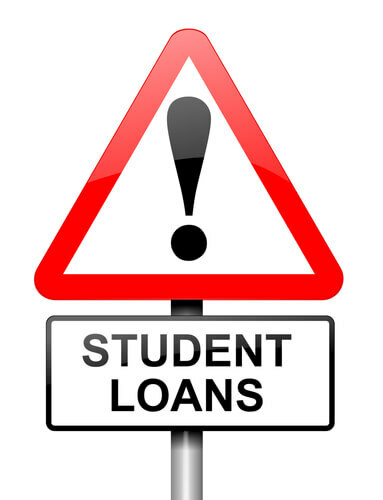 I recently blogged about the current state of the law regarding student loan discharges in bankruptcy. In summary, the Bankruptcy Court has the discretion and equitable power to wipe out (or discharge) student loan debt if it determines that there is an undue hardship on the debtor seeking bankruptcy relief with respect to such loans. However, most bankruptcy courts are very conservative in making that determination. In essence, you must have a really serious problem to even have a remote chance of success. And, it costs a lot of money in terms of legal fees to even have that opportunity to make your argument for a student loan discharge. Ultimately, a full blown trial must be prepared and presented to the court to make your case and that just takes a lot of time to do properly. Thus, not many people actually attempt to wipe out their student loans, even if they file bankruptcy. About 20 years ago, student loans were dischargeable in bankruptcy. That all changed in 1994. Before then, student loans were dischargeable after being in repayment status for 7 years or more. The spirit of the law at that time was that a person had to have been making a good faith effort on paying off the loan for 7 years or more before becoming eligible for a discharge. Keeping the loans in a state of forbearance or deferment did not count toward the 7 years. Thus, the standard advice before 1994 was to do your best for 7 years and then, if necessary, file bankruptcy on the rest. In 2013, I think it still makes a lot of sense to give a good effort in paying back your student loan debts. Exhaust every effort in trying to work out arrangements with your student loan provider. Don’t give up easily…..keep trying. Explore loan consolidation options and income contingent plans. Sometimes there are other creative ways to satisfy the loans for certain careers, like health care and education, wherein you opt to work in certain areas of the country or city for student loan reductions. Most importantly, keep a diary and document all of your efforts. Keep copies of all letters and emails with the student loan provider and/or collection agencies. Send letters via Certified Mail. Retain your certified mail receipts. If you fax anything, keep a copy of your confirmation of transmission. Print-out and store emails, if applicable. Additionally, keep absolute proof of each and every payment that is made, whether they be by ACH, check, debit card, Paypal, etc. The bottom line is to be able to provide PROOF of each and every payment and the exact date that it was sent. 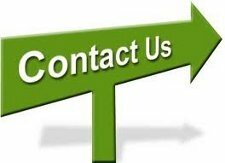 Also consider recording telephone calls with the lender or its representatives but let them know that you are doing so. Keep a permanent copy of those conversations in a safe place. Finally, keep excellent and complete financial records for your income and major budget items. For example, keep every pay stub, bank statement and bill that you receive. Keep everything organized and preferably organize and scan everything for safe keeping. Again, you are trying to create a picture of your financial situation throughout the years in case it is necessary to prove your diligence in attempting to pay back the loans. In other words, you are creating an ongoing and long term documentary of your financial life to give credibility to your potential request for relief in the future. The above record keeping may seem excessive to some, but in my opinion, is absolutely necessary and prudent. Why? Because you may need this information if you end up filing bankruptcy someday to wipe out these loans. You may even be able to avoid bankruptcy altogether if some future administrative loan forgiveness laws are passed. Moreover, the bankruptcy laws may change to allow some level of student loan debt relief in the future. But, any changes are likely to have a degree of proving that a good faith effort was made to pay back those loans for several years in advance of a discharge.